sleepin in my wagon, originally uploaded by jodifurr. Well, not everyone was excited about the animals. Ruston held on as long as he could, but the dark areas of the aquarium were just too much. 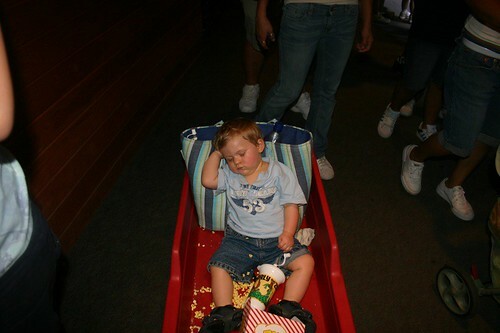 He was pretty comfy in his little red wagon.